At intermat 2018, Doosan Bobcat EMEA will be targeting markets in the Middle East and Africa (MEA) with special areas of the static display in Hall 5b and the company’s outside demonstration area devoted to products sold only in the MEA region. Intermat 2018, will be held in Paris, France from April 23 to 28. The company’s stand will include the Bobcat loaders, excavators, telehandlers and attachments and compressors from Doosan Portable Power (DPP) that already excel in the MEA, the company said in a statement. But Doosan Bobcat will also be showing for the first time at Intermat, the new Bobcat backhoe loader and new DPP 20-60 kVA generator ranges sold only in the MEA. The Bobcat display will include the B730 backhoe loader, one of four models in the new range of backhoe loaders for sale in MEA. 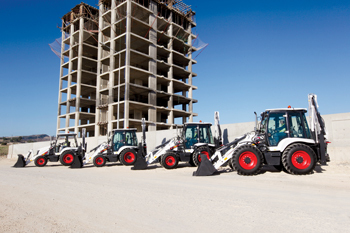 Along with the other three models in the range – the B700, B750 and B780 – the loader range offers a choice of different specifications for diverse applications in construction, rental, roadworks, demolition, landscaping and agriculture. The new range of four generators from 20-60 kVA from DPP, available in both 50 Hz and 60 Hz versions, will also be shown for the first time at Intermat. 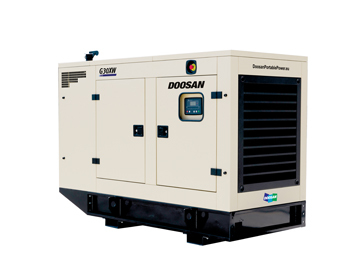 As well as construction and rental, the new generators extend the Doosan portfolio to a wider audience to cover applications such as home standby, telecommunications and back-up power for small businesses. The four new generators – the G20, G30, G45 and G60 – provide prime power outputs of 20, 30, 45 and 63 kVA, respectively, and all four units are available as open units (XF) or sound attenuated versions (XW).